We Are Better Than This – . This blog has been dozing for a few weeks now, perhaps even months (but who’s counting?). Life for me, on the other hand, has been anything but sleepy. Writers’ festivals in Australia, one in Edinburgh, and a writer-in-residence gig in Wales have kept me on my introvert-twinkle-toes (photos to come, when I sort out the techno-wrinkles). 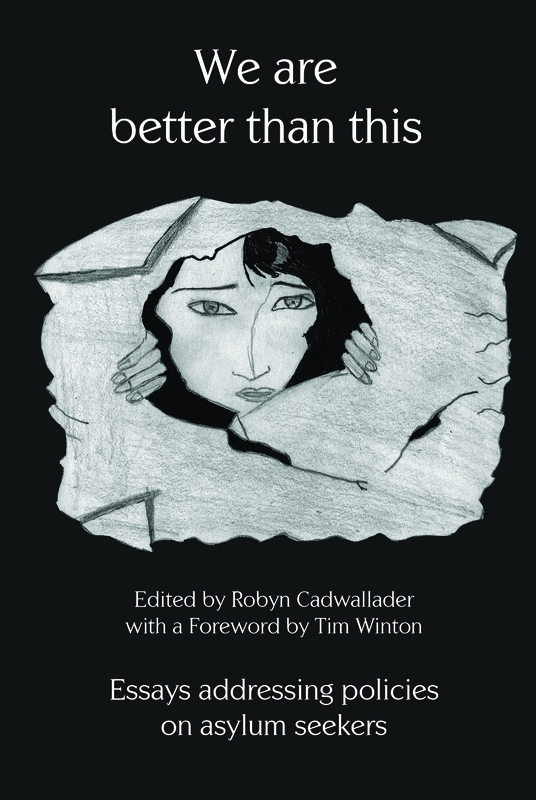 And just before I headed off overseas, I finished editing a book of essays on asylum seeker policy, called We Are Better Than This. A couple of days after I arrived home, the book was launched in Canberra by Jon Stanhope. So, I’ve shaken this blog out of its slumber to share with you some details about the book. The seed of the idea for this book was sown a year or so ago at the vigil for Reza Barati, the young Iranian man, only twenty-three years old when he was bashed to death by guards while in an Australian detention centre. For me, and I think for many of us, the brutal death made personal and visible the real horror of what Australia had come to. Before that, we knew conditions in detention centres were bad, and we had some figures and some smuggled reports, but all was so secret, so hidden. The government’s cone of silence kept so much from us. And, for me at least, it was so hard to comprehend that this was really happening under our watch. But with this single photograph of a young man, Reza, a man with an intense gaze, a slight smile on his face, now clubbed to death and buried, the truth became gut-wrenchingly real. For me, the silence of the vigil at Garema Place in central Canberra was important and appropriate; we owed him that solemn candlelight, our time, our thoughts, perhaps our prayers. And so often, silence can be the best, most fertile place to begin, before we act. I think most of us here would share an abiding sense of dislocation: is this really our government, acting in our name? How have we come to this place of torturing the people who have risked everything to ask for our help? How have we become so apparently powerless to demand justice, mercy and compassion? And so, we all do what we can. For me, that was to use my skills with words to challenge the government’s appalling secrecy, spin, disinformation and lies. At a rally, one speaker pointed out that so many people who supported the turn-back-the-boats policy really just didn’t have access to the facts, and one thing we could do was to talk to them, help them understand. And so, I thought that I would find those who knew so much more about the facts and ask them to write, gather together some essays in one place, get some honest and clear information out there. I just want to make one small comment about the title of the book. It is a statement that has been widely used, and I remember well that Julia Gillard used it of asylum seeker policy in her very first speech as prime minister, though whatever was in her mind then, it didn’t bring about change. Tim Winton used it in his Palm Sunday speech. I used it once, and a friend said to me, ‘But no, apparently we’re not.’ His comment stayed with me, but I do think that we have to stay with the determination that we are. We are better than this. It is, for me, a statement of hope, not naivety. Essays by: Julian Burnside, Mark Isaacs, Eileen O’Brien, William Maley, Emily Rutherford, Stephen Pickard, Kieran Bradley, John Minns and Frank Brennan. Poems by Sr Elizabeth Young. 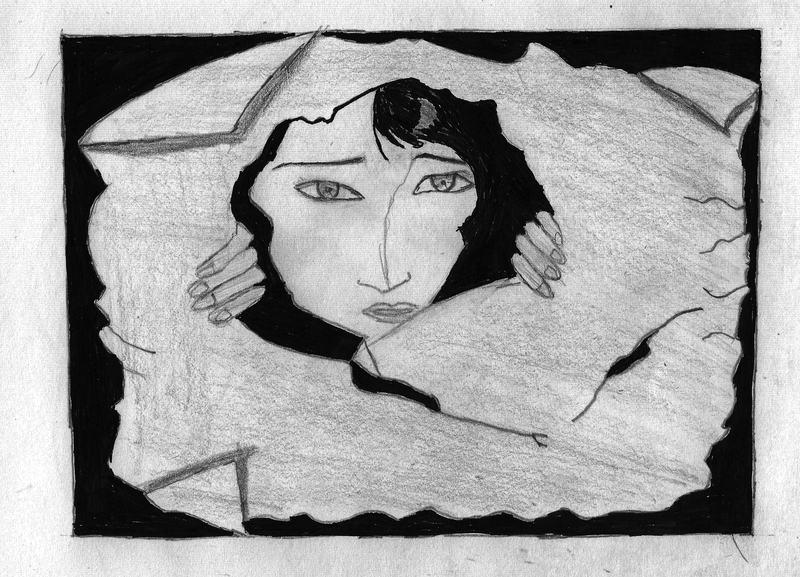 Front cover design by Intisar, a refugee. Our country, along with others, is right now dealing with the ethical/moral issues of immigration and asylum. Books like yours personalize this and in doing so give a perspective needed to rationally discuss policy. Yes, Claremary, it’s such a huge problem. And many Australians are ashamed at the disgraceful policies of our government. Asylum seekers here are detained and treated as worse than criminals, including children. The book is a very small part our attempts to change the situation. Thanks for the good wishes. I never think of those seeking asylum for their families without the children coming to mind. It makes me cry for the cruelty and selfishness of it all from those of us who have so much.